A special, never-to-be-repeated event will be held later this month to bid farewell to one of Greater Manchester’s most iconic forms of public transport and raise money for charity. Transport for Greater Manchester (TfGM) and the Metrolink operator, Metrolink RATP Dev Limited (MRDL), have arranged for one of the system's original T68 trams to take a final journey on the network on Monday 26 May. The limited-stop trip, which will take the ‘classic’ network route – Piccadilly, Eccles, Bury and Altrincham - will mark the fleet's formal retirement from service in April 2014. To add an authentic touch to the occasion, the vehicles will be driven by drivers who drove the first trams back in 1992, wearing their original uniforms. Non-refundable tickets can be bought in advance by visiting http://www.facebook.com/l/sAQE5cweE/bit.ly/RCkmiI with all proceeds going to TfGM’s chosen charities - The Christie and Francis House Hospice. It is hoped that the event will raise more than £3000. Tickets are being sold on a first come, first served basis with the event being limited to 180 spaces. Once purchased, they will be exchanged on the day of the event for special commemorative day passes, which will provide travel across the entire Metrolink network for the whole day. TfGM’s Metrolink Director, Peter Cushing, said: “The T68s have enormous historical significance and have played a major role in re-establishing light rail onto the UK ’s streets. 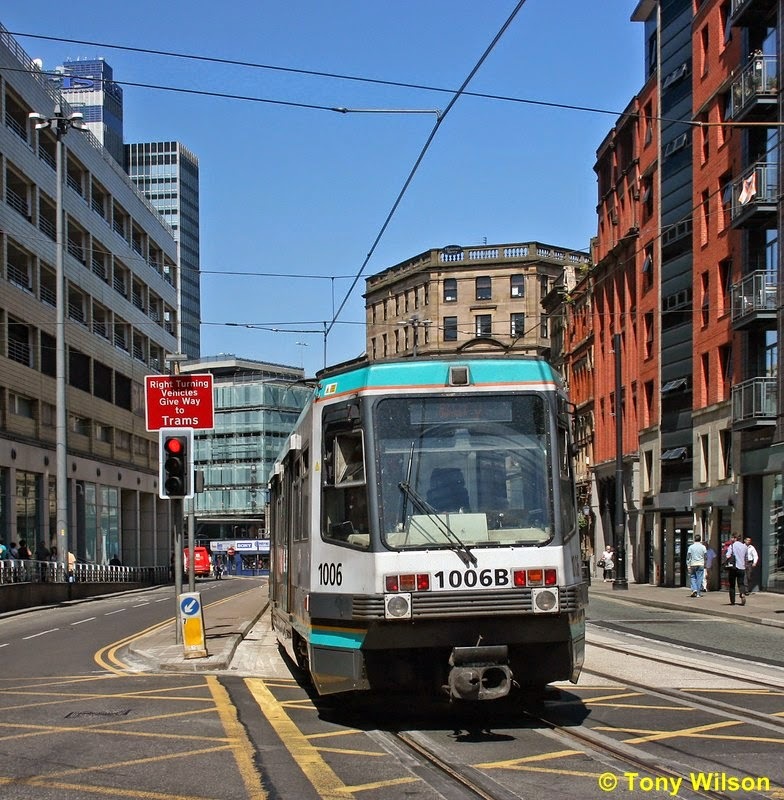 “Over the ensuing years Metrolink has experienced unprecedented growth and has provided the blueprint for several other cities that have followed Manchester ’s lead by introducing tramways onto their streets. “The retirement of the T68 tram from service marks a significant milestone in Metrolink’s history and for public transport in general in Greater Manchester. “Over the past two decades, the vehicles have served the region well, transporting tens of thousands of customers every day, so it’s only fitting they should have an appropriate send off. “The day looks set to be a great success and our employees have been keen to support the event with two of our drivers, who have been with the company for more than 20 years, dusting off their old uniforms and volunteering to drive on the day. The tram will depart Piccadilly at 10.30am prompt, so ticket holders are advised to gather at the mezzanine level at the Piccadilly Metrolink stop for 10am to ensure they can exchange their tickets in time and do not miss out.